Street and share food continues to be popular and a more sociable option when dining in groups. Thread two prawns onto the skewers, add the oil to the prawns and lightly grill on a char-grill. Mix the KNORR Malaysian Satay Sauce GF and KNORR Patak's Mild Curry Paste together and heat well. To make the herb salad, combine the coriander and shallots. 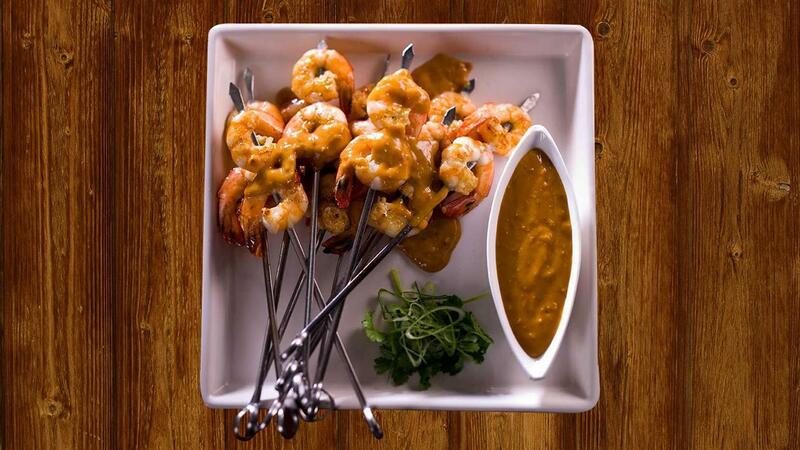 Place the cooked prawns on a small plate and pour over some of the satay sauce, add the remainder to a small bowl and garnish with the fresh herb salad.